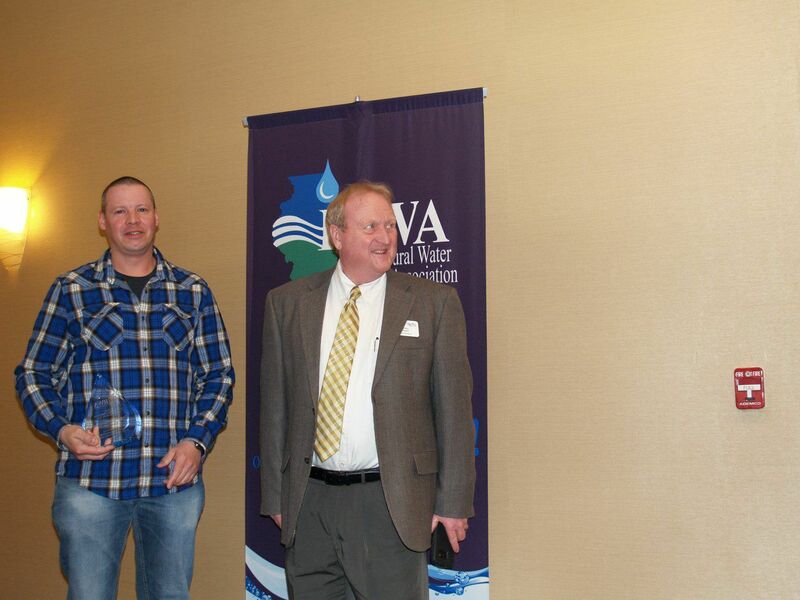 We are very proud to share with you that two Local 773 members, Andy Wennerstrom from Carlyle Water Department and Herbert Hosfeldt from the Vienna Public Works received two of the top honors from the Illinois Rural Water Association for the year 2018. 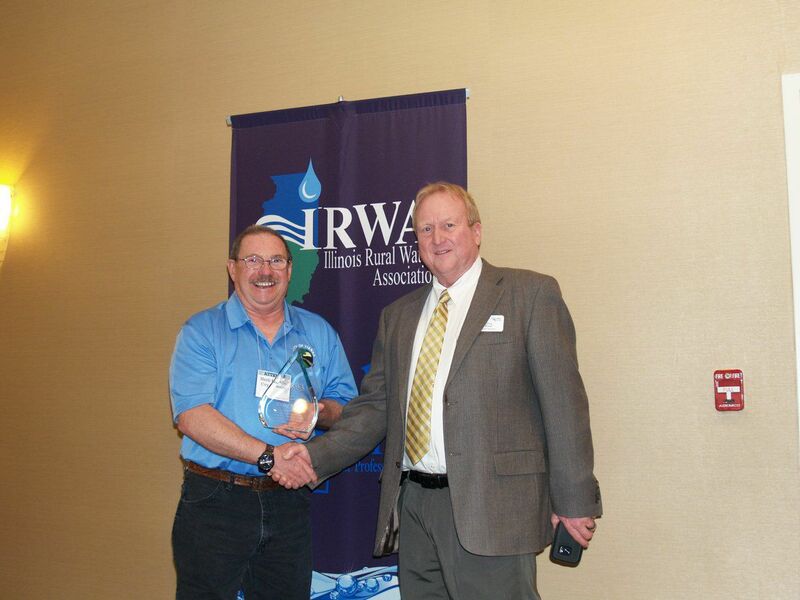 Illinois Rural Water Association is a non-profit organization of rural water and wastewater systems. They provide training and technical assistance throughout the state of Illinois. Membership is open to all organizations and individuals associated with the water and wastewater industry. During the month of February the Annual 2018 Awards were determined at the Annual Conference held at the Thelma Keller Convention Center in Effingham Illinois. Awards were given to systems operators in several areas.
. Andy Wennerstrom was awarded the first place honor as the Illinois Water Systems Operation Specialist of the Year and Herbert Hosfeldt of Vienna was awarded the first place award for operations of the Illinois Wastewater System of the year. Presenting the award was Greg Bates, President of the Association.